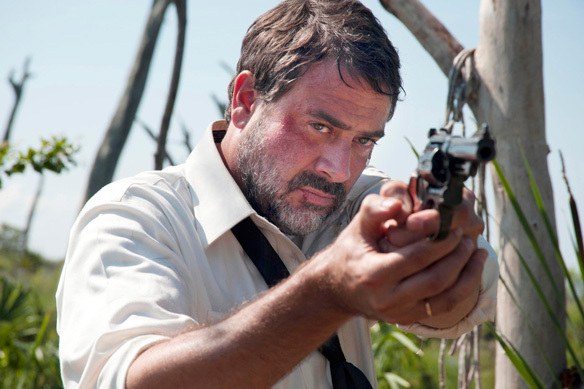 Jeffrey Dean Morgan stars in Anchor Bay Films' Texas Killing Fields. Photo Credit: Gusmano Cesaretti, Property of Anchor Bay Films. Rated: R for violence and language including some sexual references. Inspired by true events, this tense and haunting thriller follows Detective Souder (Sam Worthington), a homicide detective in a small Texan town, and his partner, transplanted New York City cop Detective Heigh (Jeffrey Dean Morgan) as they track a sadistic serial killer dumping his victims' mutilated bodies in a nearby marsh locals call "The Killing Fields." Though the swampland crime scenes are outside their jurisdiction, Detective Heigh is unable to turn his back on solving the gruesome murders. Despite his partner's warnings, he sets out to investigate the crimes. Before long, the killer changes the game and begins hunting the detectives, teasing them with possible clues at the crime scenes while always remaining one step ahead. When familiar local girl Anne (Chloe Grace Moretz) goes missing, the detectives find themselves racing against time to catch the killer and save the young girl's life. Directed by Ami Canaan Mann, Produced by Michael Mann and Michael Jaffe, Texas Killing Fields also stars Jessica Chastain (Tree of Life, The Help), Jason Clarke (Public Enemies, FOX's "Chicago Code") and Stephen Graham (Pirates of the Caribbean: On Stranger Tides, HBO's "Boardwalk Empire"). Executive Producers Bill Block, Paul Hanson, Justin Thompson, Anthony J.A Bryan, Jr., Ethan Smith, John Friedberg and Michael Ohoven, with music by Dickon Hinchliffe. While working on assignment for the DEA, Don Ferrarone was sent to Texas City, Texas to form a task force addressing trafficking issues. While there working with local law enforcement, Don began to hear about the phenomenon of crime locals called The Texas Killing Fields--several areas of land running along the I-45 just outside Texas City limits where, since 1969, over fifty bodies of sexual assault murder victims have been dumped. Having never heard of these crimes, Don became curious and began asking questions. Everyone he spoke to directed him to two Texas City PD Detectives who'd worked several of the Texas Killing Fields' cases, Brian Goetschius and Mike Land. The three men became close. They still are close. And a shared interest in the unsolved crimes of the Texas Killing Fields led Don Ferrarone into a multitude of case histories, meeting victims' families, meeting survivors, an understanding of the peculiarities of The Killing Fields as well as the methodologically oppositional, but shared core values, of the two detectives themselves. In 2000, Don Ferrarone had retired from the DEA and was interested in pursuing writing. Having worked with Michael Mann on several earlier projects, dating back to 1990's Emmy-winning mini-series "Drug Wars: The Camarena Story," Michael commissioned Don to write the screenplay 'Texas Killing Fields' which, some ten years later, was shot in May 2010. On the outskirts of a small town called Texas City, thirty minutes south of Houston, the bodies of just under sixty murder victims have been found. Some women, some girls. Some prostitutes. Some schoolchildren. All victims of different killers. In the stacks of preliminary research that came with Don Ferrarone's brilliant screenplay, I found a map attached to a local newspaper article. It showed the faces of the victims near where their bodies were found. Seventies Marsha Brady straight hair, eighties bangs, nineties streaks. Decades of girls waking up on the mornings of their last days, doing their makeup and hair, never knowing that the images they saw in the mirror would remain on a victims map I'd be staring at years later. Many of the photos are school photos. Eyes looking directly at the camera the way we're told to smile during 'picture day.' Arranged as they are on that map, they're a tapestry of beautiful ghosts, their eyes look right through you, asking for voice. And it is this reality, I believe, that pushed myself, cast and crew to try to tell this tough story in the most elegant way possible. How to tell their story? How to try to give voice to those whose voice has been taken? 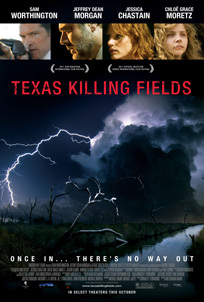 Anchor Bay Films' TEXAS KILLING FIELDS. Property of Anchor Bay Films. All rights reserved. Chloe Grace Moretz stars in Anchor Bay Films' Texas Killing Fields. Photo Credit: Gusmano Cesaretti, Property of Anchor Bay Films. 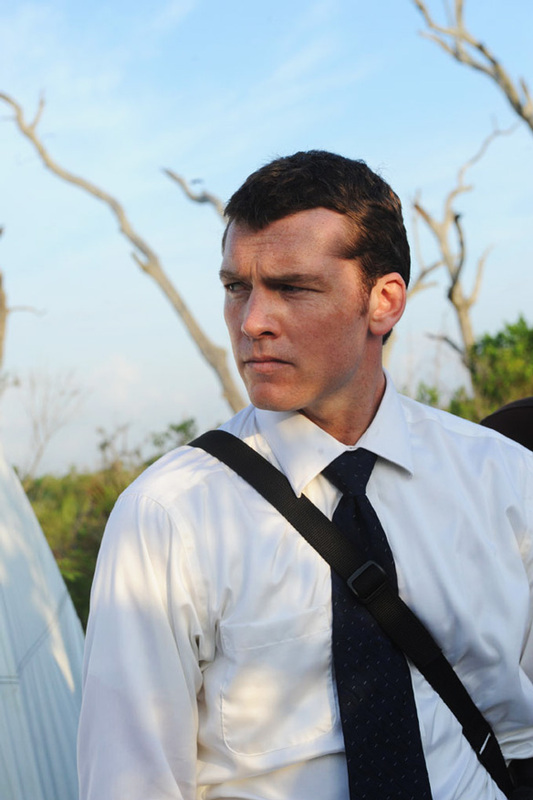 Sam Worthington stars in Anchor Bay Films' Texas Killing Fields. Photo Credit: Steve Schaprio, Property of Anchor Bay Films. Jessica Chastain stars in Anchor Bay Films' Texas Killing Fields. Photo Credit: Gusmano Cesaretti, Property of Anchor Bay Films. 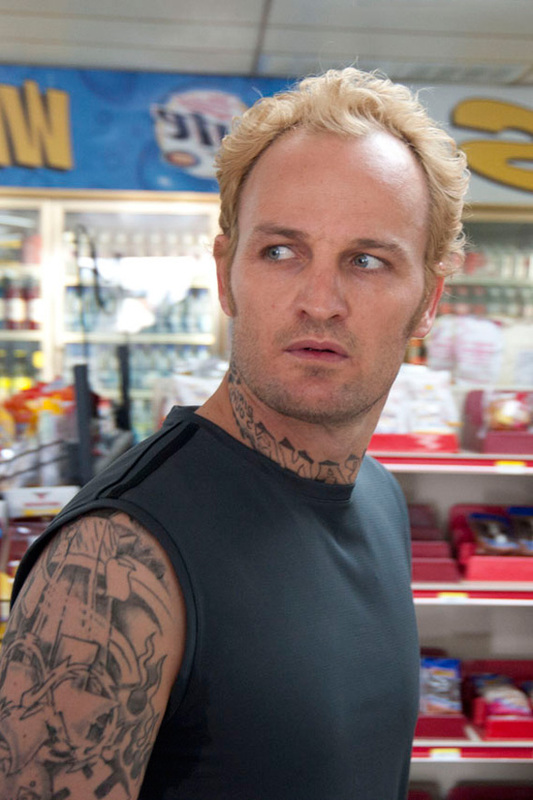 Jason Clarke stars in Anchor Bay Films' Texas Killing Fields. Photo Credit: Gusmano Cesaretti, Property of Anchor Bay Films. 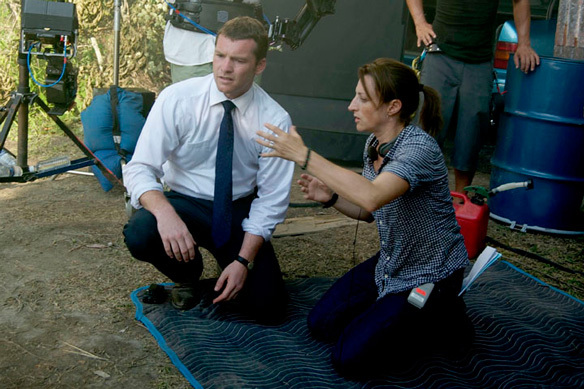 Director Ami Canaan Mann directs Sam Worthington in Anchor Bay Films' Texas Killing Fields. Photo Credit: Gusmano Cesaretti, Property of Anchor Bay Films.